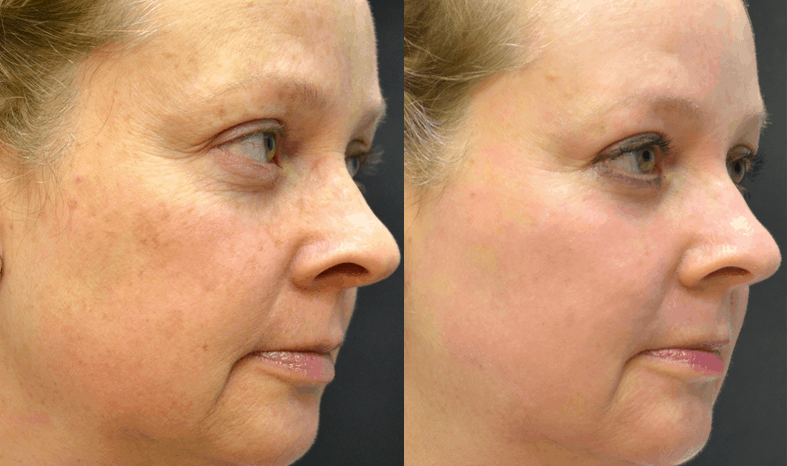 Patient Information: This is a 49 year old patient who had discolorations on her face from sun damage over the years. 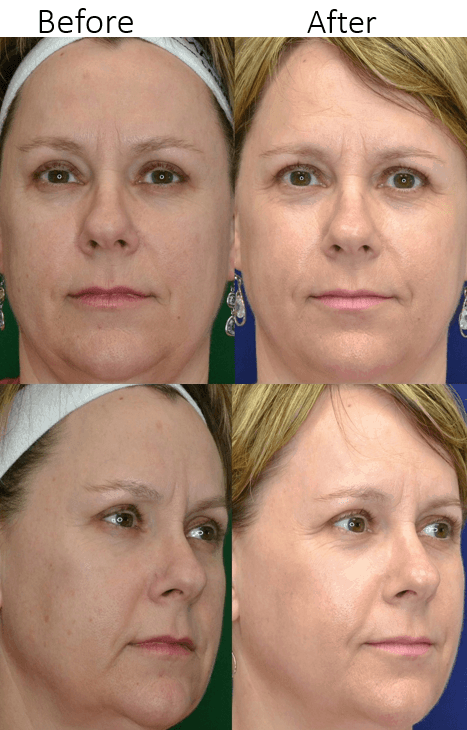 She underwent a deep laser resurfacing treatment combined with profractional. 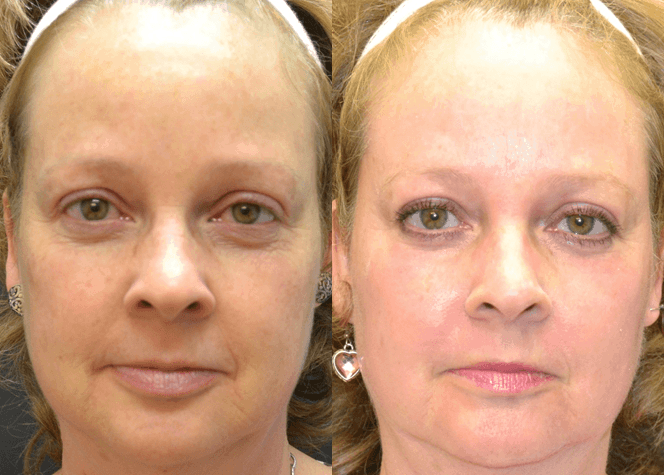 Three months later the discolorations and brown spots on her face are no longer there and her face has a much more refreshed look.